Festive fall fun abounds at the annual Harvest Market! Local farmers and artisans set up with their fall produce and their creations for sale. Food vendors will be on site as well as free wine samples inside the winery’s tasting room and gift shop. The Grape Stomp event benefits St. Thomas Hickman Hospital and is great fun for a good cause. 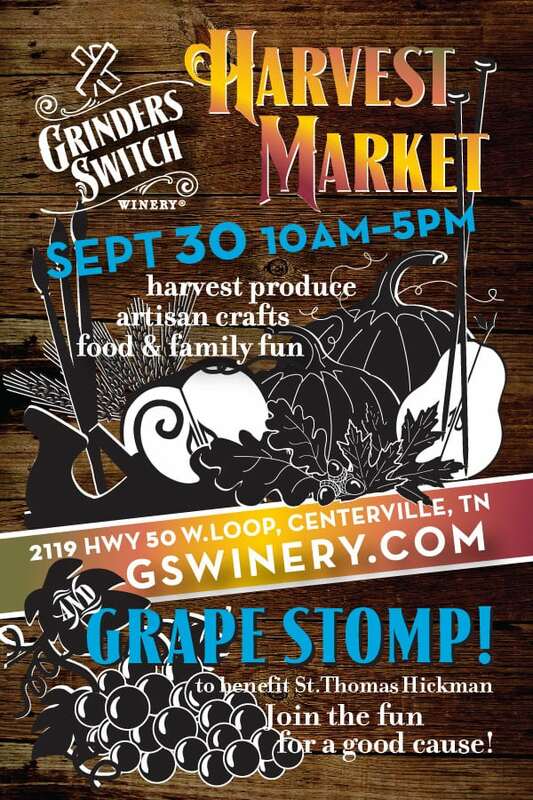 The Harvest Market is free for all to attend; we recommend reserving your spot for the Grape Stomp prior to the event at gswinery.com.